Gojju is very popular Karnataka side dish prepared using most of the asian vegetables like bitter gourd, onion, green beans etc…. 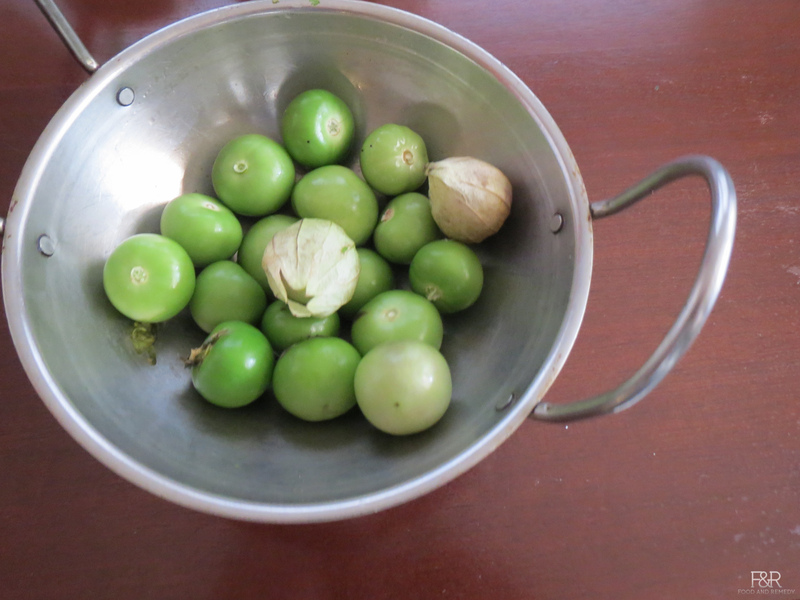 Here I have the recipe for gojju using the Tomatillos. 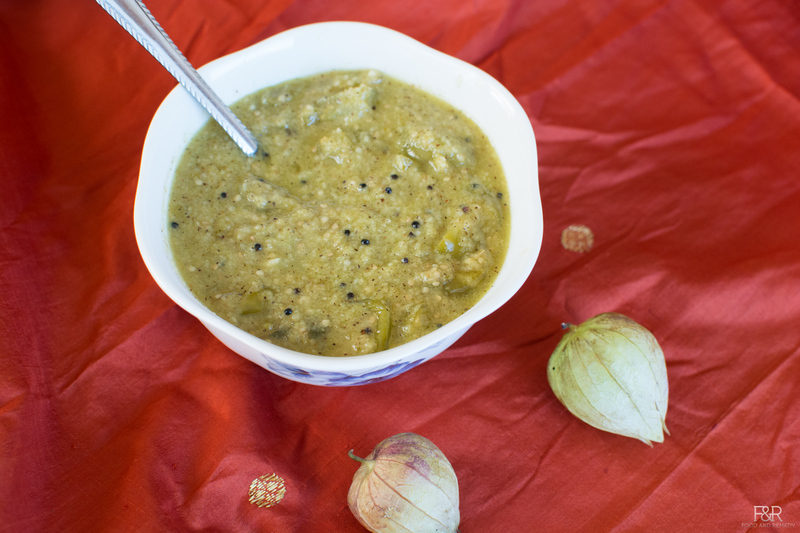 Taste wise tomatillos are sour in nature, with the right amount of salt and jaggery this gojju is heavenly. 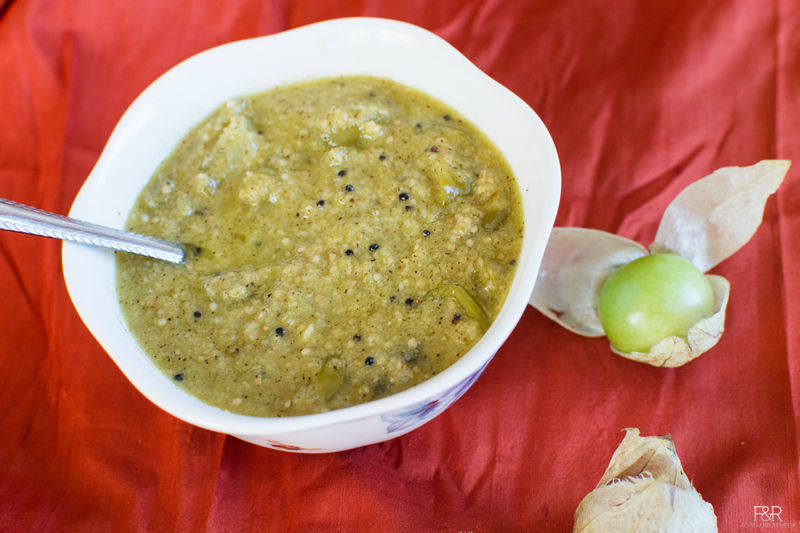 Very delicious and goes well with rice, chapathi, rotti…. 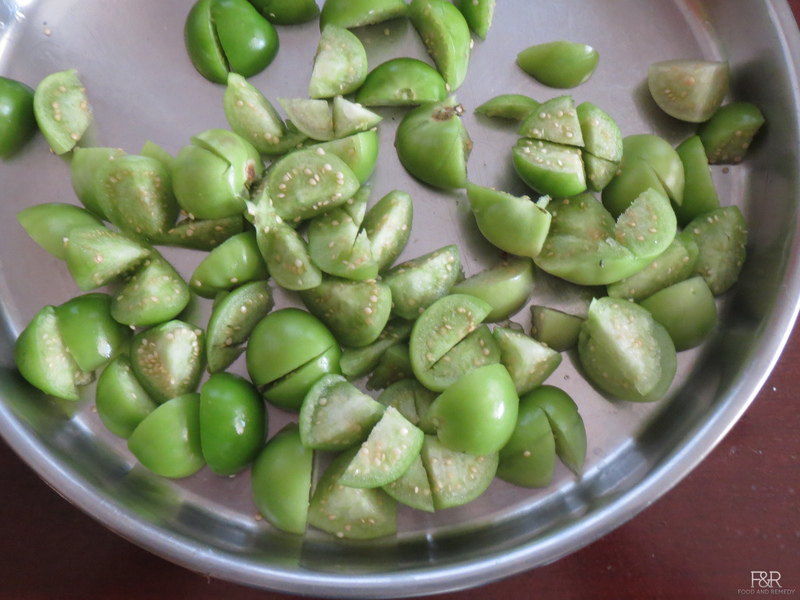 Tomatillos are very good source of fiber, niacin, potassium, and moderate amount of Vitamin C, Vitamin K.
Here is the step by step instructions with Pictures to "How to Make Tomatillo Gojju"
remove the outer skin and wash the tomatillos. 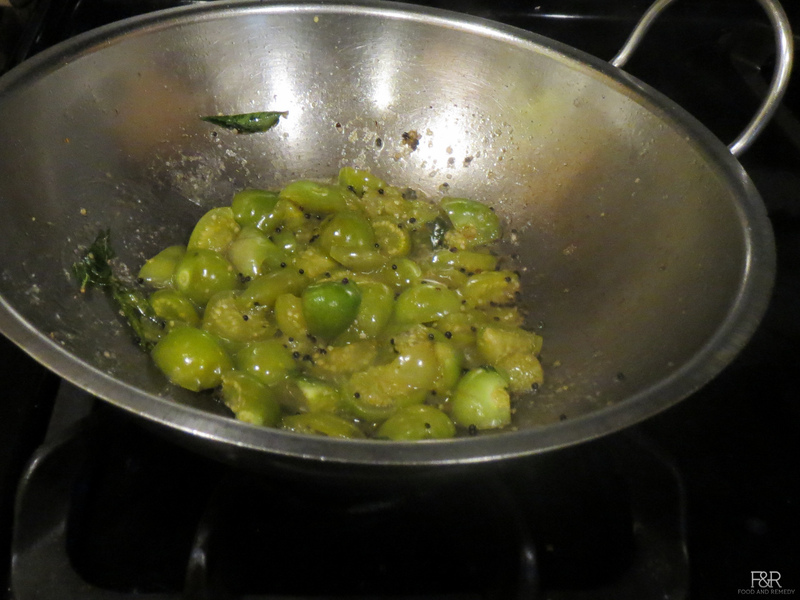 While tomatillos are cooking grind the ingredients listed under "for grinding " adding enough water. 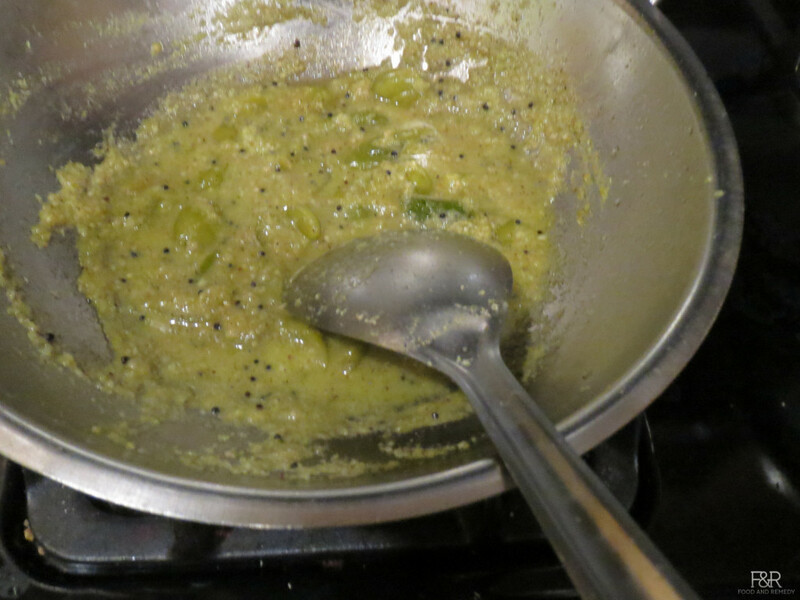 Add the paste to cooked tomatillo. Add water if needed to get the desired thickness like tomato sauce consistency. 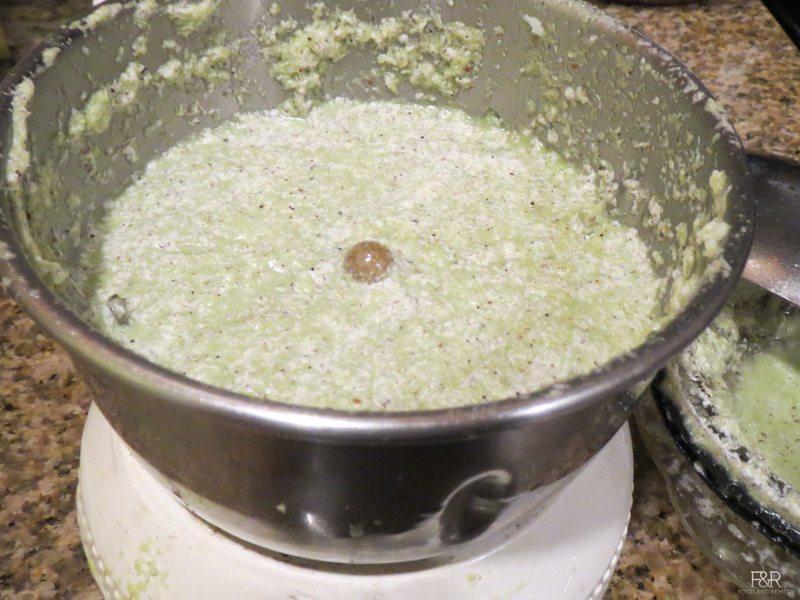 (Not too thick and not too liquid) Let it cook on medium low heat for 10 to 15 minutes, then turn off the heat.